Two River Theater, under the leadership of Artistic Director John Dias and Managing Director Michael Hurst, announces the cast and creative team for its production of Alan Jay Lerner and Frederick Loewe's Camelot, directed by David Lee with music direction and orchestrations by Steve Orich (Jersey Boys) and choreography by Mark Esposito (South Pacific with Reba McEntire). The production will run November 15-December 14, 2014, with the opening night on Friday, November 21 at 8pm. Tickets starting at $20 and ticket packages for Two River's season are available from 732.345.1400 or www.tworivertheater.org. The lead production sponsor for Camelot is Investors Bank. Performed by an eight-actor ensemble and eight-piece orchestra, Two River's production of Camelot will focus on the youth and vitality of King Arthur, Queen Guinevere, Sir Lancelot, and the Knights of the Round Table. Director David Lee previously directed a critically acclaimed extended production of Nöel Coward's Present Laughter at Two River, which became the second highest grossing show in the theater's history. 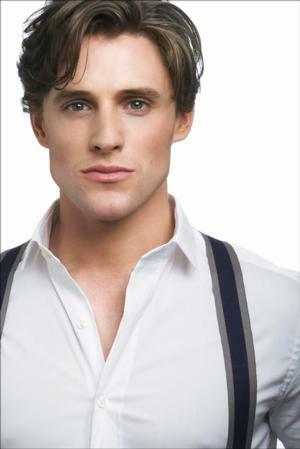 His new production of Can-Can will launch the season at Paper Mill Playhouse in October prior to a run on Broadway. A nine-time Emmy Award winning director, writer, and producer for television, he is the co-creator of Wings and Frasier, for which he also wrote, produced, and directed. Britney Coleman (Guinevere) most recently played Silvia in Two Gentlemen of Verona at The Old Theatre, directed by Mark Lamos. She has appeared Off-Broadway in Karen O's Stop the Virgens, directed by Adam Rapp at St. Ann's Warehouse. While a student at the University of Michigan, she starred in the YouTube musical sensations A Very Potter Musical and A Very Potter Sequel with StarKid Productions. Nicholas Rodriguez (Lancelot) made his Broadway debut in Disney's production of Tarzan. His regional credits include several productions at Arena Stage in Washington, DC, including playing Freddy in Lerner and Loewe's My Fair Lady and Curly in Rodgers and Hammerstein's Oklahoma!, for which he received a 2011 Helen Hayes Award for Best Actor in a Musical. On television, he is known for the role of Nick Chavez on One Life to Live, for which he received the GLAAD Media Award. Oliver Thornton (Arthur) is making his U.S. theater debut with this production. His credits in London's West End include Priscilla, Queen of the Desert; Rent; Phantom of the Opera; Les Miserable; and Chicago. He recently played the title role in Aladdin at the New Wimbledon Theatre and Frank 'N' Furter in the UK tour of The Rocky Horror Picture Show. The company also includes Ryan Dunkin (Sir Sagramore), Hunter Ryan Herdlicka (Mordred), Kent Overshown (Sir Dinadan), Parker Slaybaugh (Tom) and Perry Sook (Sir Lionel). The creative team for Camelot includes scenic designer Scott Bradley, costume designer Tilly Grimes, lighting designer Michael Gilliam, and sound design by ACME Sound Partners. The fight direction is by J. Steven White, the casting is by Cindy Tolan & Adam Caldwell, and the stage manager is Samantha Flint.